The epitome of calmness and creativity, MS Dhoni is a master finisher, a razor-sharp wicket-keeper, and a canny captain. One of India's most successful captain - Dhoni has won everything in ODIs and T20Is - The T20 World Cup (2007), ODI World Cup (2011), Champions Trophy 2013, IPL 2010 and 2011, and Champions League in 2010 and 2014. Unorthodox is a word that describes MS Dhoni perfectly and is often associated with his batting, wicket-keeping, and captaincy. His strategies and those decisions that he takes on the field often leave the opposition, experts and fans astonished. As a captain, MS Dhoni always steps in with two plans and is quick to execute another plan C if the previous ones fail. After trawling my mental database I have compiled a list of 5 such instances when MS Dhoni proved that he is the 'Einstien' of cricket. Cricket fans and experts got the first glimpse of MS Dhoni's match awareness and intellect in his debut tournament as a captain - T20 World Cup 2007. 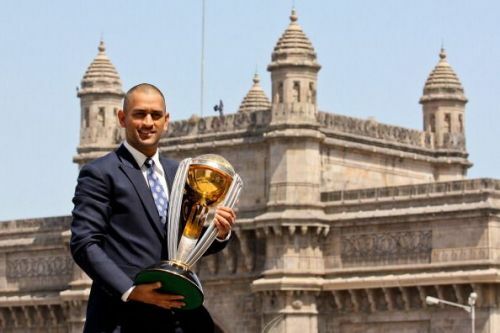 MS Dhoni who was leading a group of talented youngsters motored India to a pleasantly unexpected World Cup victory. Team India got a real push in the first match which was a nerve-racking encounter with arch-rivals Pakistan. The match ended in a tie and the result was to be decided with the help of a bowl-out. The first strategic masterstroke came when Dhoni decided to choose Sehwag, Harbhajan, and Uthappa and not frontline pacers, as spinners tend to be more accurate. Dhoni's second genius move was to sit on his knees right behind the stumps so that it becomes easier for the bowlers to spot and hit the target, unlike Kamran Akmal who stood outside off and way back, distracting the bowler. As a result of this ploy by the captain-creative, all three bowlers were able to hit the target snatching a victory from Pakistan who couldn't hit the stumps even once.